Mohamed Mohamed is an associate lawyer at Shillers LLP and holds an LLM from Osgoode Hall Law School of York University. Mohamed’s practice encompasses a wide range of civil litigation with a particular focus on Employment & Labour Law, Human Rights and Commercial Litigation. 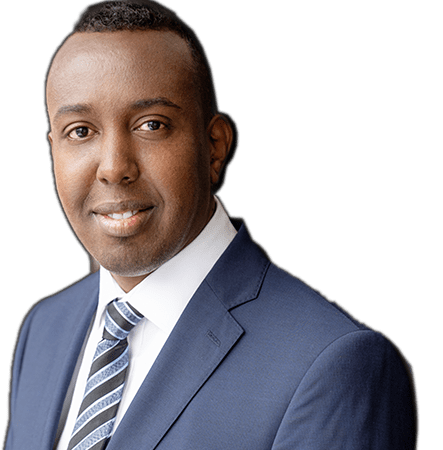 Mohamed has represented clients before the Superior Court of Justice, the Human Rights Tribunal, the Small Claims Court and the Ontario Labour Relations Board. Prior to practising law in Ontario, Mohamed worked at the United Nations Higher Commissioner (UNHCR) branch office in Islamabad, Pakistan. Mohamed is also fluent in Somali, Arabic, Urdu and Hindi.